Cherry tomatoes are the host’s dream when it comes to simple appetizers that pack a punch. 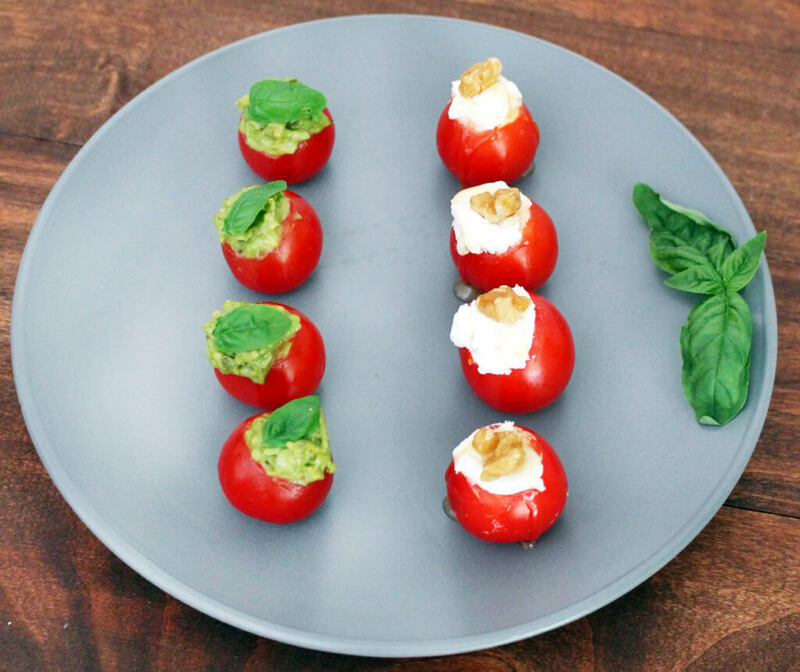 These two stuffed cherry tomato recipes are just the right size for a single bite, making them the perfect vessel for a number of delicious fillings. Not to mention, the bright red color makes them stand out on just about any table setting. Putting these little guys together is also pretty easy and it doesn’t require any heat. It takes just a few minutes to hollow out the tomatoes and stuff them with your favorite fillings. Then all that needs to be done is to line them up on a serving tray. 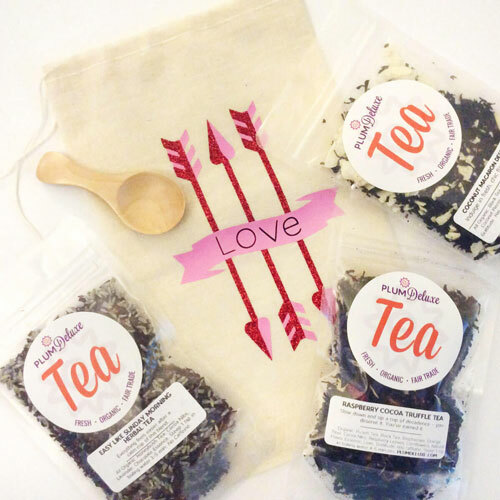 You can even serve these as a low carb alternative to a tea sandwich. Just use your favorite sandwich filling and put it in a tomato instead. 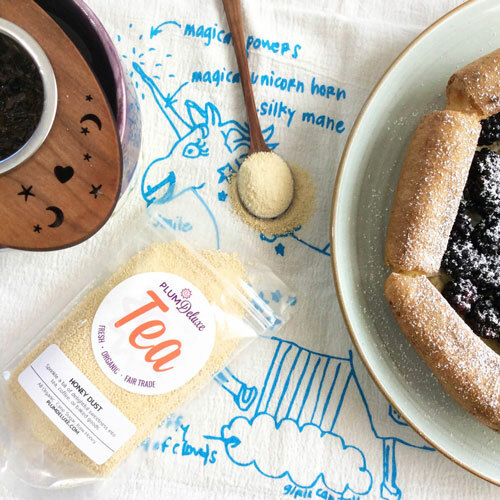 It’s the perfect time of year to add these to a fall harvest tea party. When you are preparing the cherry tomatoes for filling, be sure that they can stand up on their own. Typically they will sit fairly well on the stem side of the tomato with the stem removed. If you can’t find a flat spot for them to sit, then simply cut a small sliver from the end of the tomato to flatten it out, and set it on this sliver. Just be sure not to cut so deeply that you reach the seeds or you are likely to lose your filling out the bottom. Once you have all of your cherry tomatoes standing up on their own, cut across the tops (the sides that are facing up). This cut needs to be deep enough to reach the seedy part. Using a small paring knife, cut around the hollowing area, and use a small scoop, such as the end of a vegetable peeler, to scoop out the seeds. Place the tomato open side up and move on to the next one. While a small spoon works fine for filling, a pastry bag with a round opening makes it a little easier to get the filling all the way to the bottom of the tomato without crushing it. 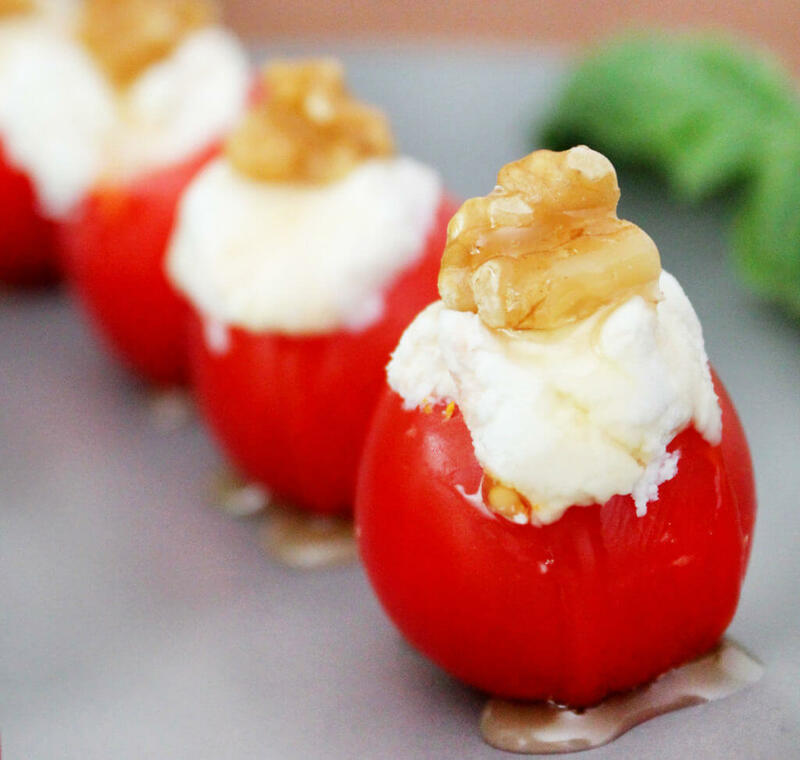 There are a number of different fillings that work great for stuffed cherry tomato recipes, including, hummus, cheeses, finely ground meats, and small pastas. Two of our favorite fillings are whipped goat cheese with honey and avocado pesto. We love the tangy-sweet combination of whipped goat cheese with honey. A small piece of walnut on top gives this bite just a little crunch that really brings it all together. 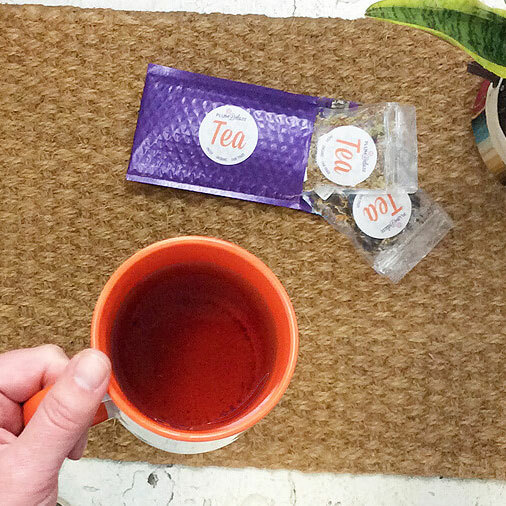 These bites go great with just about any of our teas, but we think something light and fruity, like our Afternoon High Tea with its notes of peach and pear will be a good partner. To create the whipped goat cheese filling, simply combine the goat cheese and any other flavor additions, such as herbs or oils, in the bowl of a food processor and pulse until smooth. Use a spoon or a piping bag to fill each tomato. Place a walnut piece on top with a pinch of salt, and drizzle with honey. It’s best to serve them at room temperature, but if making them ahead of time, place them in the fridge until just before you are ready to serve. Cut a thin slice from the top of each tomato. 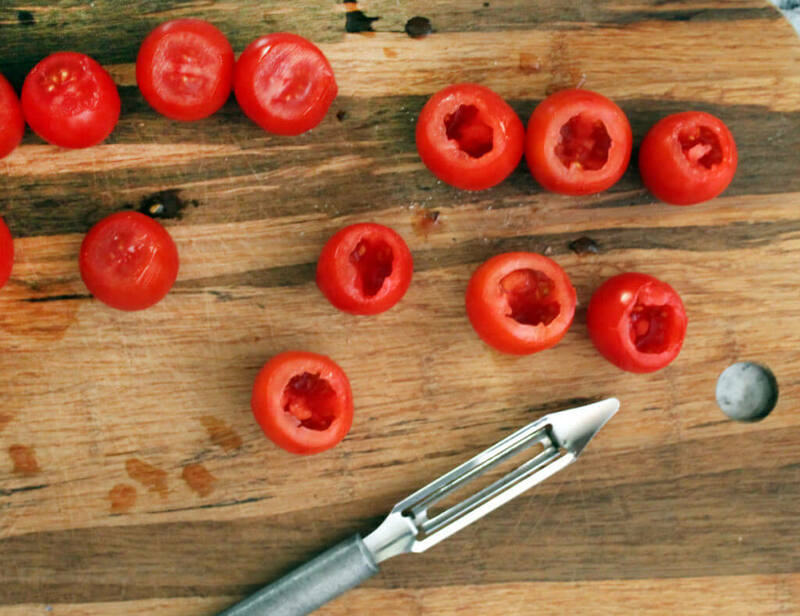 With a small spoon or vegetable peeler, carefully hollow out the tomatoes, removing the seeds. Flip the tomatoes over and let them drain while you prepare the others. In the bowl of a food processor, combine the goat cheese and milk. Cover and blend until smooth. Place tomatoes, open sides up, on a serving platter. Fill each tomato with a pastry bag or small spoon. Top with a walnut piece, drizzle with honey, and serve. 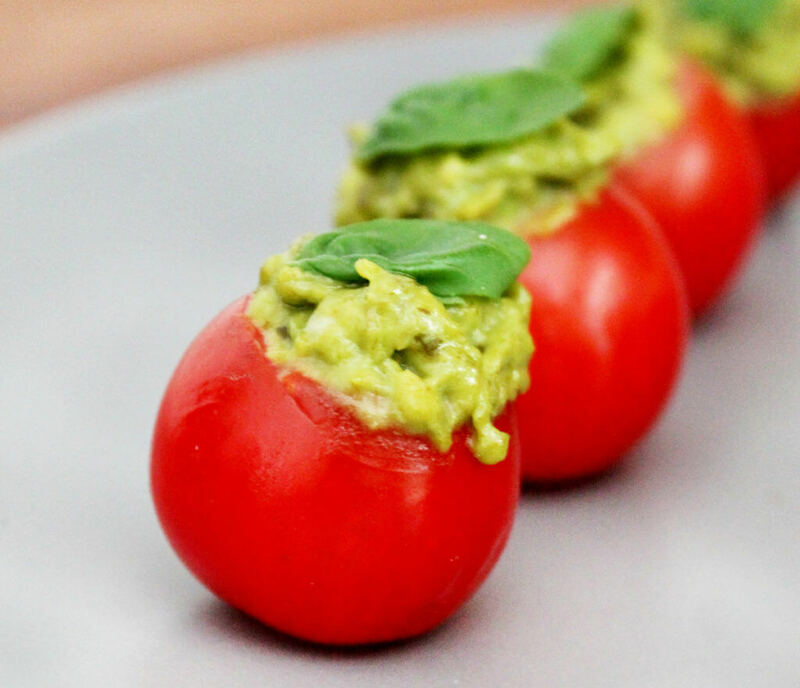 For the avocado pesto stuffed cherry tomatoes, simply combine half a ripe avocado with half a teaspoon of fresh lemon juice and one to two tablespoons of prepared pesto in the bowl of a food processor. Pulse the processor until a smooth paste forms. You may need to add a bit of water to help make the mixture smooth, depending on how ripe your avocado is. Be sure to taste the mixture and add more pesto as needed, to taste. Again, use a spoon or a piping bag to fill each tomato. Garnish as desired and serve slightly chilled. While you can make these ahead, be aware that avocado tends to brown the longer it is exposed to air, so it may be wise to prepare the tomatoes ahead and make the filling closer to serving time. What we love about this combination is not only the bold flavor of the pesto, but also that this bite is veggie forward and very healthy. It’s also easily made vegan by using a vegan pesto. 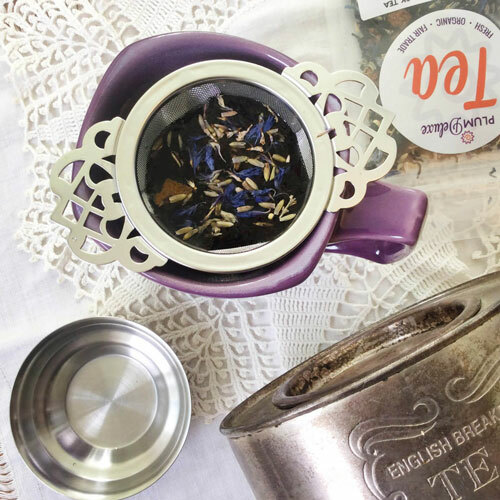 Try pairing this with a slightly stronger flavored tea like the lemon Irish Breakfast Fog Cutter. In the bowl of a food processor, combine avocado, cream cheese, pesto, and lemon juice. Cover and blend until smooth. Place tomatoes, open sides up, on a serving platter. Fill each tomato with a pastry bag or small spoon. Garnish with fresh basil, if desired, and serve. 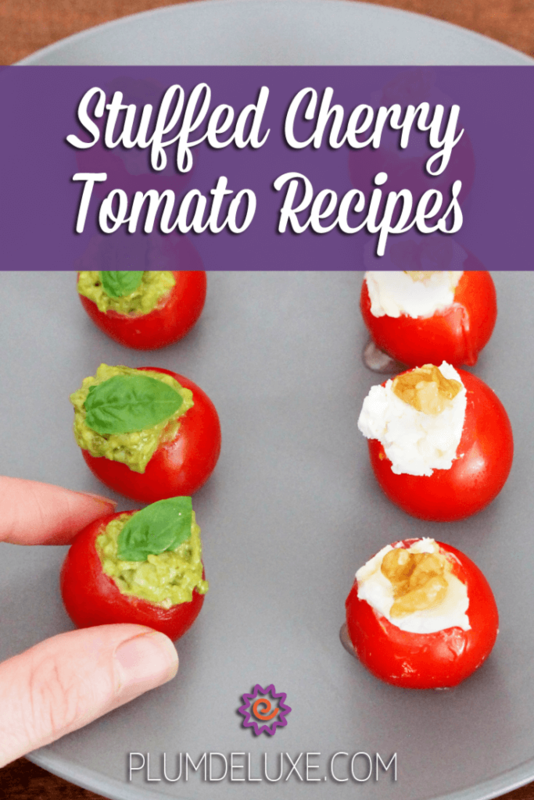 While we love these two fillings they are definitely not your only option when it comes to stuffed cherry tomato recipes. Really the possibilities are endless.